The titular Dragon Balls don’t see a lot of actual use in competitive Dragon Ball FighterZ, as the conditions to gather them all and summon the wish-granting dragon aren’t always conducive to a player’s game plan. So when the opportunity to bring out Shenron in a match presents itself, you can bet a player like Goichi “Go1" Kishida will think about taking it. In yesterday’s winner’s quarterfinals at Stunfest 2018 against fellow pro Chris “NYChrisG” Gonzalez, Goichi and Gonzalez were both on their last member of their team. Goichi had Cell and seven bars of meter to work with, but was at a health deficit. But throughout the course of the match, the right amount and duration of combos had been tallied up, and Goichi had the right amount of meter. Seeing the opening, Goichi goes in and dishes out the last inputs needed to bring Shenron to his aid. To summon the dragon, first all the Dragon Balls have to be collected by either player completing a certain duration of combo length for each of the seven. Then, a player needs a full seven bars of meter. Finally, once the balls are set and the meter is charged, you just do a basic auto-combo on your opponent and Shenron is summoned, granting you one of four wishes. 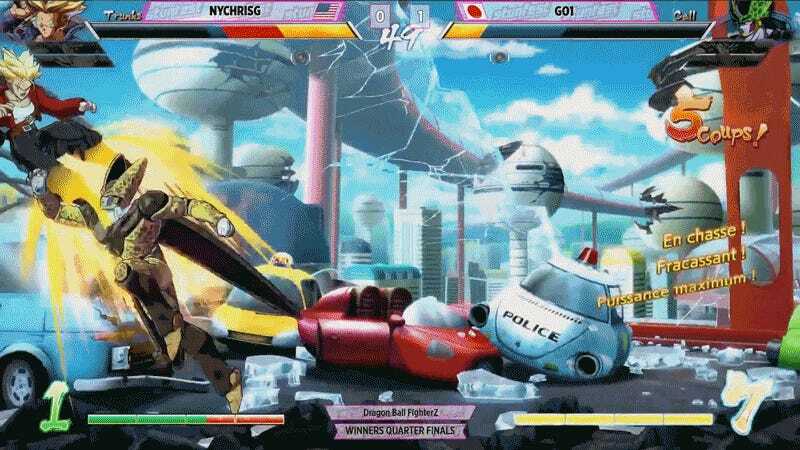 Goichi chose the one that refills his fighter’s health bar, putting him up in health even though he had Gonzalez in the grasp of a game-ending combo. 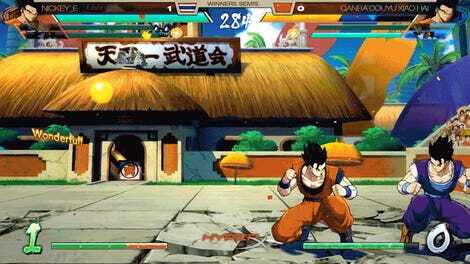 It’s a rare sight to see the dragon in a high-level, competitive Dragon Ball FighterZ match, much less one between two of the game’s top competitors. But this game continues to deliver anime hype at every turn.